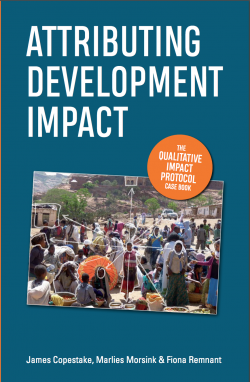 We are delighted to announce that the much anticipated book dedicated to the QuIP, ‘Attributing Development Impact: The Qualitative Impact Protocol Casebook’, launched on 18th March at the Bond Conference in London! Hardback and paperback copies are available from the publisher (and other well-known online booksellers), and thanks to the generous support of the University of Bath Alumni Fund electronic copies of both the full book and individual chapters are also available as a free download. 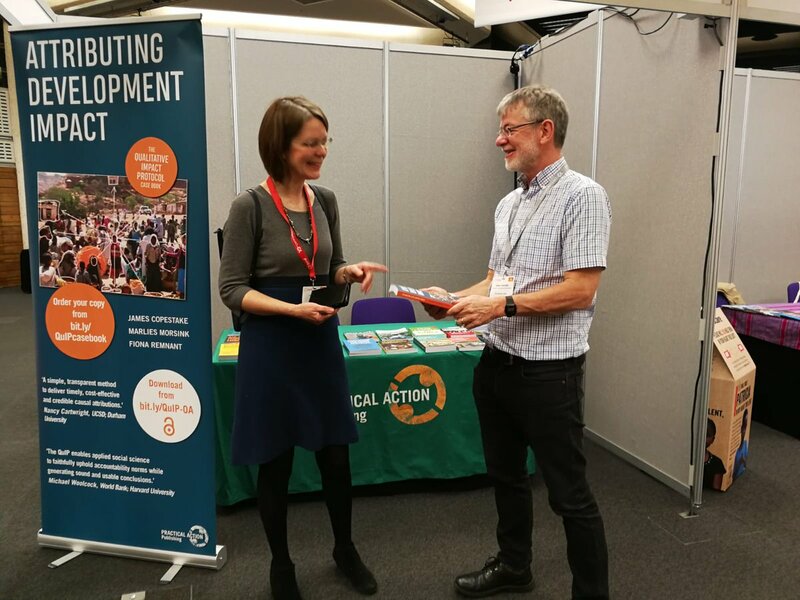 James Copestake will be presenting a session at the UK Evaluation Society conference in London in May drawing on the experiences in the book and copies will be available as poster prizes . The body of the book presents the experiences of designing and executing eight different QuIP studies, from the perspective of both the independent evaluators and the commissioners. 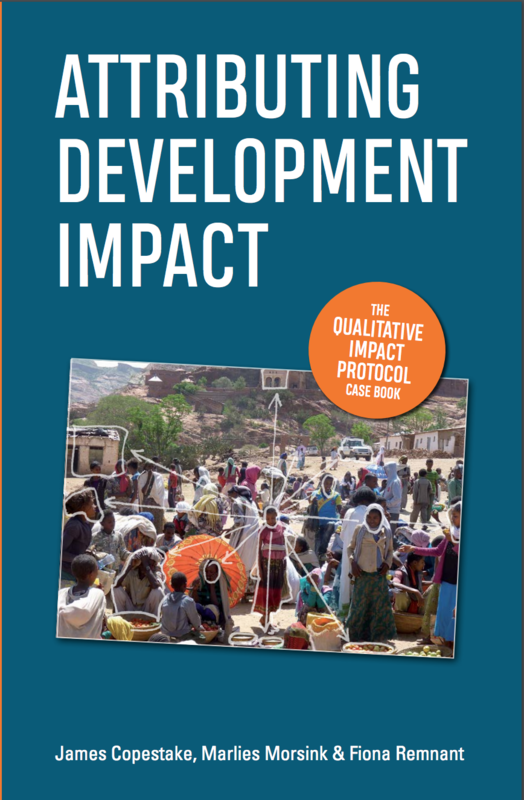 All the studies featured in the book were undertaken by BSDR in the first two years following its launch as a social enterprise and illustrate the potential flexibility of the QuIP and its continued evolution as we learned from each project, covering the themes of rural livelihoods, food security and infant nutrition, microfinance for housing, community mobilisation, factory worker empowerment, and university volunteer-educators. The book also includes a chapter reflecting on the use of the QuIP in the UK at local authority level – an approach we look forward to developing more this year with Social Value UK. These hands-on experiences are framed by chapters outlining the theory behind the QuIP, how the QuIP relates to other impact attribution approaches, and detailed guidelines for using the approach.